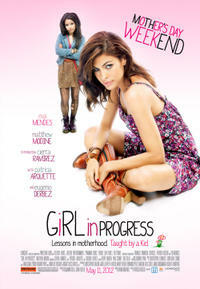 Eva Mendez as Grace and Cierra Ramirez as Ansiedad in "Girl in Progress." 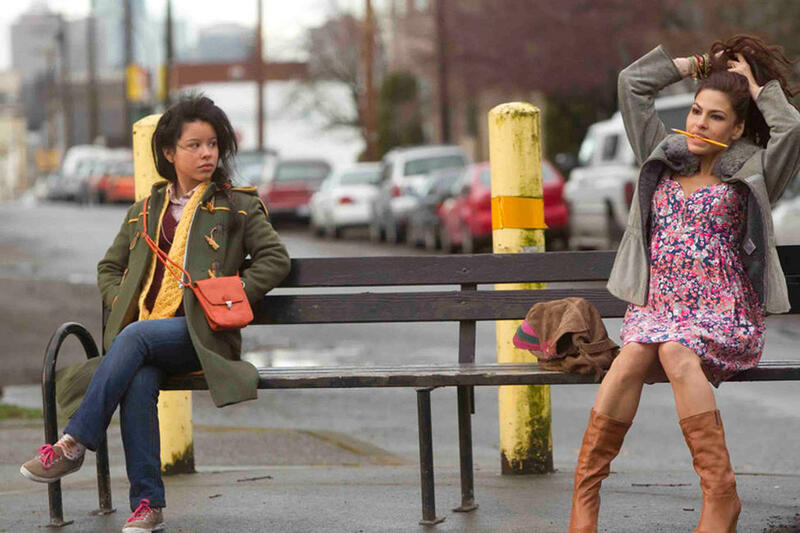 Cierra Ramirez as Ansiedad and Raini Rodriguez as Tavita in "Girl in Progress." 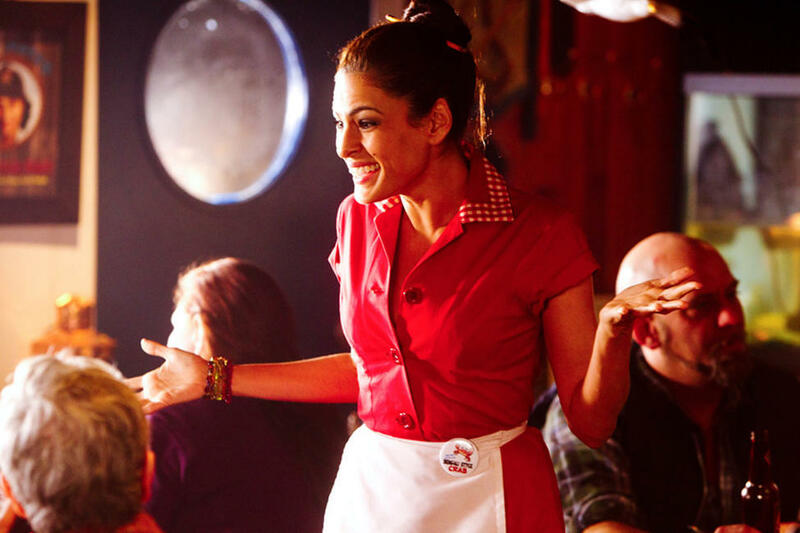 Eva Mendez as Grace in "Girl in Progress." 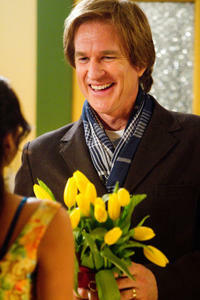 Matthew Modine as Dr. Hartford in "Girl in Progress." Patricia Arquette as Ms. Armstrong and Cierra Ramirez as Ansiedad "Girl in Progress." Eva Mendez and director Patricia Riggen on the set of "Girl in Progress." Cierra Ramirez as Ansiedad and Landon Liboiron as Trevor in "Girl in Progress." 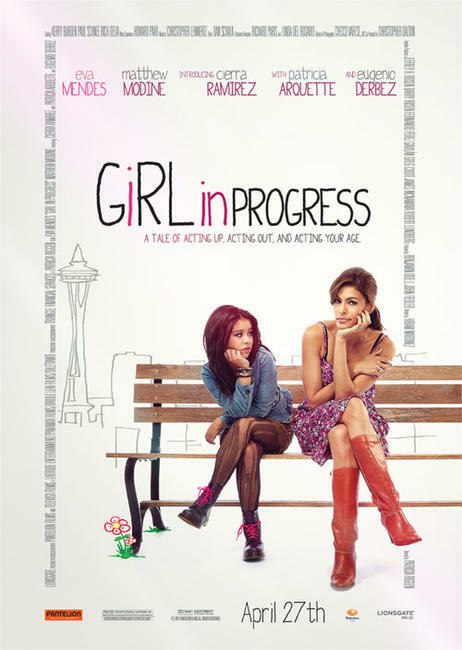 Cierra Ramirez as Ansiedad and Eva Mendez as Grace in "Girl in Progress." Matthew Modine as Dr. Hartford and Eva Mendez as Grace in "Girl in Progress." Cierra Ramirez as Ansiedad in "Girl in Progress." 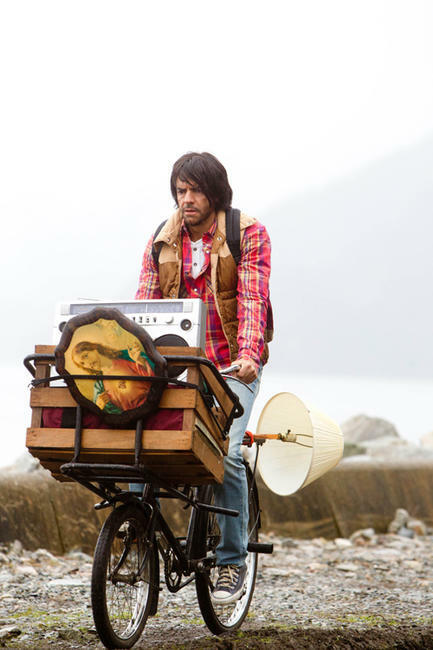 Espinoza Paz as Cousin to Mission Impossible, Eva Mendez as Grace and Eugenio Derbez as Mission Impossible in "Girl in Progress." Eugenio Derbez as Mission Impossible "Girl in Progress." Cierra Ramirez as Ansiedad and Eugenio Derbez as Mission Impossible "Girl in Progress." Poster art for "Girl in Progress."